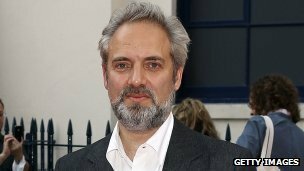 Skyfall director Sam Mendes is to direct the 24th James Bond film, due for release in 2015, it has been announced. Daniel Craig will reprise his role as the British spy, with the script penned by John Logan. Bond 24 is due for release in the UK on 23 October. It will have its US release two weeks later, on 6 November. Skyfall made $ 1.1bn (£700m) at the worldwide box office and became the highest-grossing film of all time in the UK. Michael Lynton and Amy Pascal of Sony Entertainment said it is a “privilege” to work on the Bond films. Skyfall won two Oscars – singer Adele’s theme song of the same name won best original song and there was an award for sound editing. It was also named the outstanding British film by Bafta.